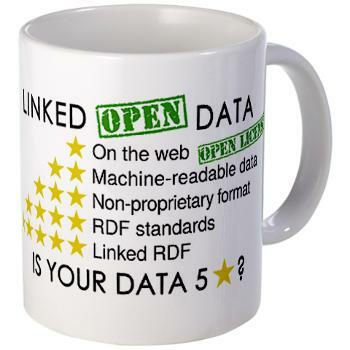 In this fourth part, we're going to see the principles behind Linked Data. An HTTP URI is a URI created to name anything we want to talk about but that uses the HTTP in order to be “dereferenceable” i.e. so that a person or a software finding that URI (e.g. a Web crawler) may easily learn more about the resource represented by that URI by just making and HTTP call to the HTTP address it provides. We don’t use the term URL (locator) because the thing that is being represented may not be itself on the Web at this address. For example, I may want to give an HTTP URI to Mytsie (my cat). No matter how hard I try, Mytsie itself will never be “located” on the Web (it is a not a URL) but this adorable cat can be identified on the Web by an HTTP URI and if you ever go to that address you will be provided with a description on the Web about the resource represented by that URI, i.e. my cat. Now, how do we choose the URIs we are going to use to talk about the things we want to describe? What should be their structure or schema? We already mentioned the importance of choosing well the domain name for the host par of the identifier. But what about the rest of the address? Then HTTP content negotiation (conneg) and, possibly, redirections are configured on the server to provide content in XML, RDF, HTML, JSON, etc. to whoever accesses that address. Of course, depending on the type of identifier you initially had, you may need to use the URI encoding mechanism we introduced before. To illustrate that first step, we can mention the real example of the digital object identifier (DOI). There is a way to lookup any DOI on the Web through a service implementing a mapping from DOIs to HTTP URIs. This HTTP URI will then redirect you to a description of the object identify by the DOI. So, choosing the URIs will strongly depend on the domain to which the objects you want to describe belong. However, there are two families of HTTP URIs that can be considered every time you want to choose a naming scheme: the “hash URIs” (long story) and the “slash URIs” and the discussion they led to. The grouping of several descriptions in one file that can be cached and avoid several calls to discover different linked resources. It has "the disadvantages of its advantages ": one cannot obtain the description of only one resource since the whole document is retrieved every time the address is accessed and this could be costly in terms of network traffic, memory and processing when the file is large. This alternative, using slashes, allows us to be much more modular in the storage and transfer of descriptions. Here, a Web client can retrieve only the description it is interested in. Disadvantages include the multiplication (by two) of HTTP calls (the first access and the second one after the redirection) and the fragmentation of the data that requires multiple calls when one wants to retrieve a collection of them. To summarize, fragments can be used for small datasets where grouping makes sense (unity of content, linked, same life cycle). This option is also the simplest one as it can be implemented, for instance, just by hosting a file on a Web server. The redirection by HTTP 303 is more technical but allows more control over the data served. Finally, nothing prevents you from using and mixing these two options even inside the same dataset. 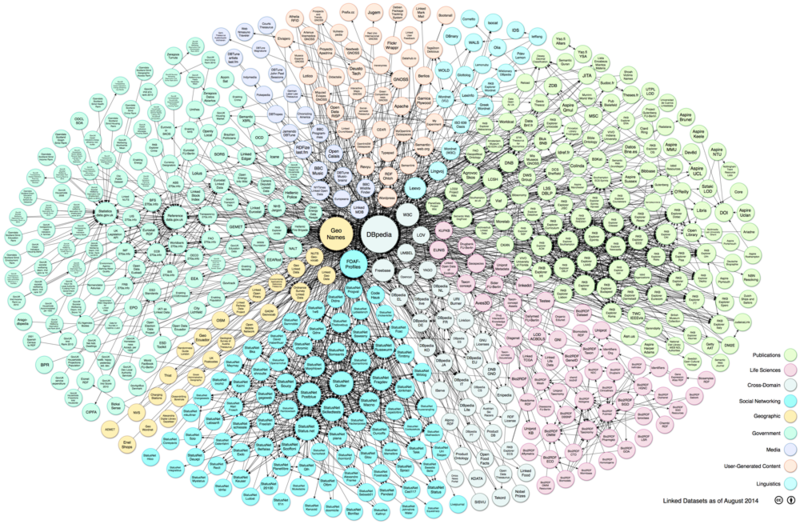 The Web site "Linking Open Data cloud diagram" provides an overview of the linked open data cloud on the Web. 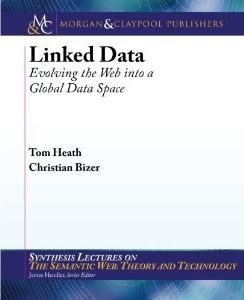 The free HTML version of the book by Tom Heath & Christian Bizer (2011) "Linked Data: Evolving the Web into a Global Data Space". Synthesis Lectures on the Semantic Web: Theory and Technology, 1:1, 1-136. Morgan & Claypool.